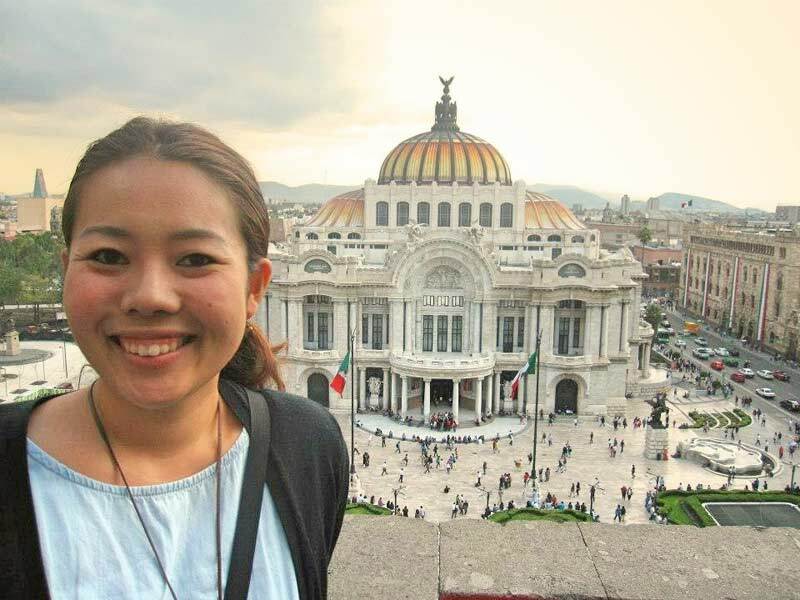 Meet World Campus – Japan 2013 Program Counselor, Maki Honda! I’m Maki Honda from Japan and I’ll be one of the counselors for this summer. This is my second year to travel with World Campus-Japan program. I’ll be working for logistics and guiding you as the interpreter during the program. I hope you will have great experiences while you stay here in Japan, so please don’t hesitate to talk to me when you need some help. I’m from Kumamoto city, and I’ve spent most of my life in there. I graduated from a university in Kumamoto city then I started working at the local radio station. I enjoyed working with creative people and learned a lot of things from my first job. After three years of working at the station, I joined the whole tour of World Campus-Japan program as one of the Japanese staff member. Traveling around with the international group of people, staying with the host families, and learning about their cultures and themselves…all of my experiences with World Campus International, Inc. gave me a great opportunity to rediscover my own cultures and helped me to be a grovel citizen. Welcome to Japan! I’m so excited to receiving all of you and have this amazing adventure together! Previous PostMeet World Campus – Japan 2013 Program Counselor, Marijke Langevoort!Next PostMeet World Campus – Japan 2013 Program Counselor, Ola Johannessen!